For over 20 years, we have been aiding businesses in VA, MD & DC with paint maintenance and other facility maintenance and cleaning services. The day-to-day operations in any business facility can be detrimental to the interior walls of a business. Chairs get pushed into walls, nails are hammered in and removed, fingerprints create worn spots in high-traffic areas, and the list goes on. As a business owner who endeavors to keep the appearance of your business as perfect as possible, you might find these situations annoying because it isn’t quite bad enough to warrant a full repainting, but it is noticeable enough to need a touchup. 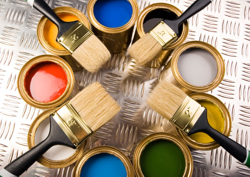 At Empire Cleaning Services LLC, we have the solution for you – our paint maintenance services! There is no reason to pay for complete repainting when you only need paint touchups. This is one option from our menu of services that we can perform as part of our facility maintenance services. We endeavor to take care of every little smudge, so you can put your best foot forward every day. Our team members are trained to watch out for all the little things when they are performing routine maintenance at your building, and paint maintenance is a big part of that. For over 20 years, we have been aiding businesses in Virginia, Maryland & Washington DC with paint maintenance and other facility maintenance and cleaning services. We don’t look good unless your facility looks good – inside and out. From ceiling to floor, and everything in between, we’ll handle the regular wear and tear and those unexpected messy occurrences. We are even available 24/7 for emergencies. We use certified green cleaning products and state-of-the-art equipment, along with highly trained and bonded staff to make sure we exceed your expectations. Make the Empire change today and experience the difference! Paint Maintenance in Washington, D.C.